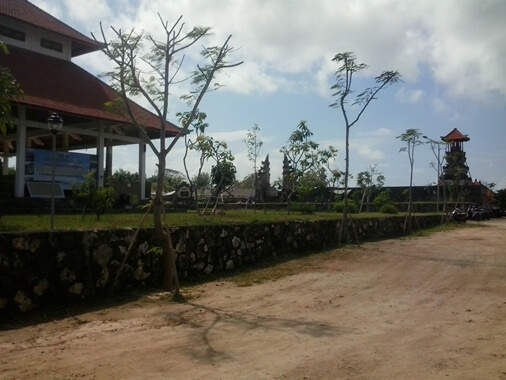 Gunung Payung Temple is located in Kutuh Village, District of South Kuta, Badung Regency, Bali. The location of this temple is also a benchmark to find the Gunung Payung Beach, a quiet and hidden beach. Entering the sacred area of the temple, visitors will be treated to the natural scenery of blue sea at the south end. After paying the entrance fee, visitor can continue the trip, straight up to the south end, the site of the holy temple. 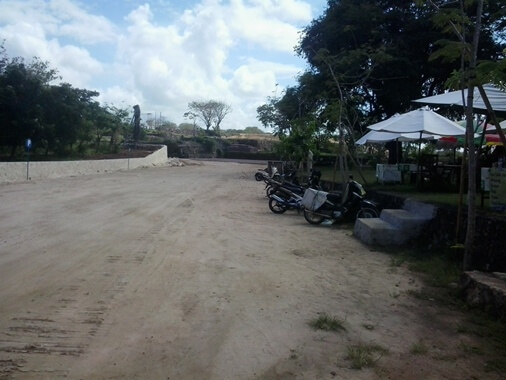 In front of the temple there is a "Wantilan" as a meeting hall, row of small stalls and parking lot. This holy temple has a long history. The name "Gunung Payung" or "Bukit Payung" (Umbrella Hill) is associated with the existence of the temple. Mentioned in ancient text of Dwijendra Tatwa, about the journey of a holy priest from East Java, Dang Hyang Nirarta. After the development process of "Uluwatu Temple" (assisted by locals) was completed, the holy priest went on his journey heading to Bualu. He arrives at the peninsula (at the southeast of Bualu) and fascinated by its natural beauty. The local people who know of his arrival, come and gather to appeal for guidance. After teaching guidance, then he boosts the handle of an umbrella to the ground and miraculously appeared pure spring water from the soil. Then the priest and also the community use the spring for their needs. Before continuing his journey, the priest advises the community to always keep the springs. 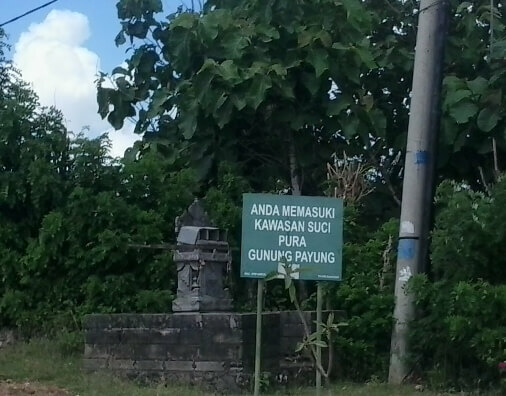 For that reason, the local build up a shrine called Pura Bukit Payung or Pura Gunung Payung. Furthermore, the hills those resemble the mountain known as Bukit Payung or Gunung Payung.